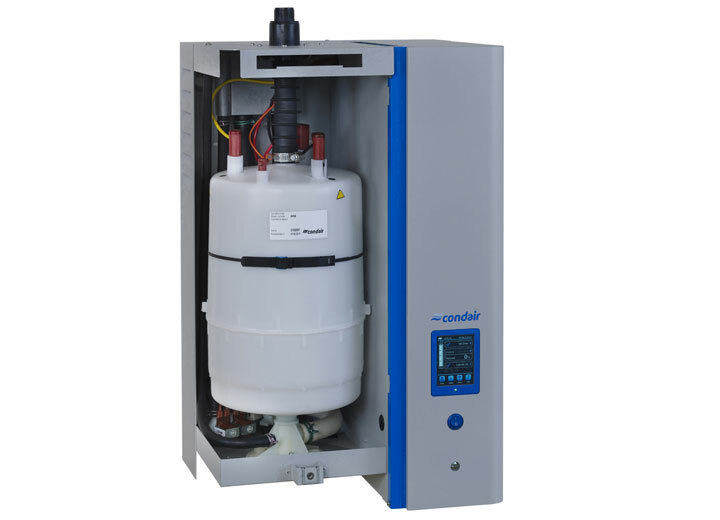 The Condair EL is available with a single cylinder for outputs up to 45kg/h and a double cylinder model for outputs up to 90kg/h. Up to four units can be controller on a master/slave configuration. 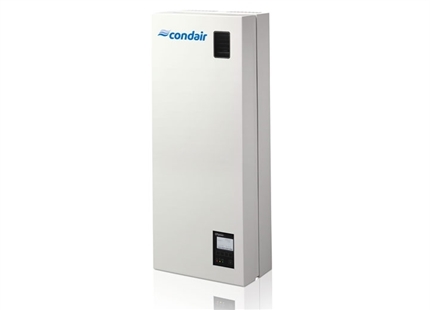 The Condair EL electrode boiler steam humidifier provides reliable steam humidification and is easy to install, use and service. It can be used with steam lances to humidify an air handling unit or duct, or with a fan unit to directly humidify a room. 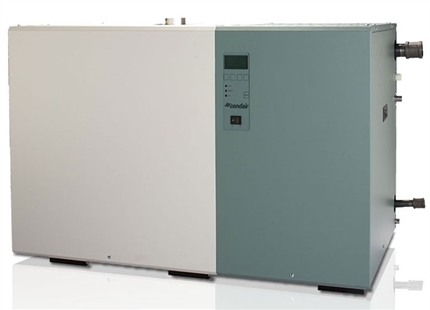 The steam cylinders of the Condair EL last up to three times longer than similar models due to advanced water quality management. 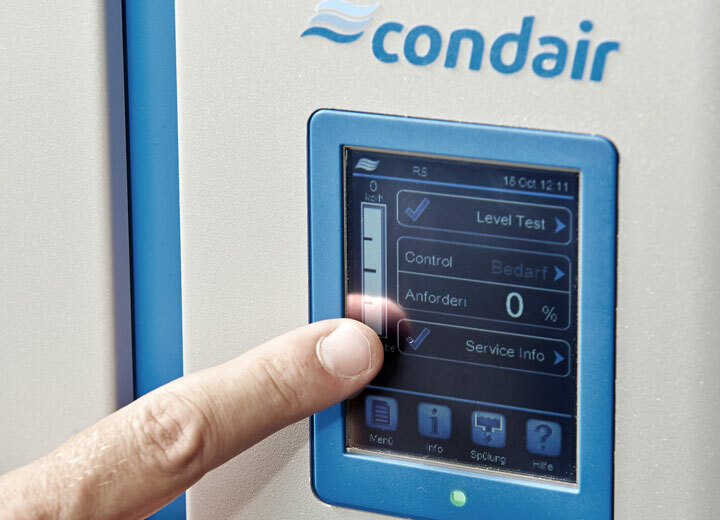 The mineral content of the water is precisely monitored and managed. 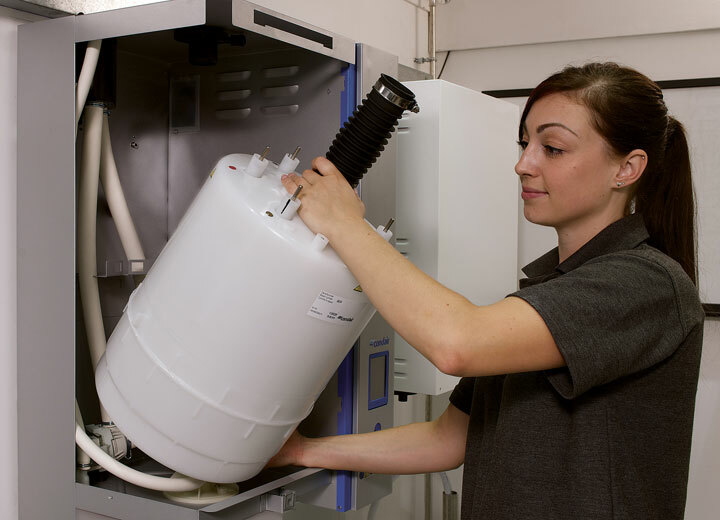 Water with high mineral content is drained and fresh water added only as required, thus minimising scale build-up and reducing the energy needed to heat fresh water. 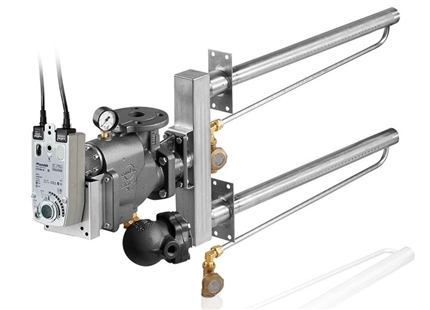 When servicing is needed, the Condair EL's design makes it easy to drain, remove and replace the disposable steam cylinders, keeping downtime to a minimum. Cleanable cylinders are also available. An advanced touch screen control panel makes operation simple while providing detailed diagnostic reporting. A USB connection allows performance data to be downloaded into Excel and the humidifier's software to be easily updated. 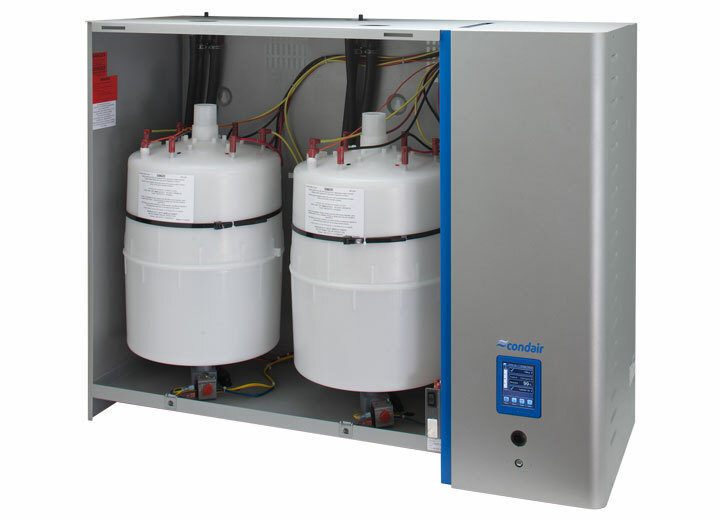 Get expert advice on your humidifier project. Click here. 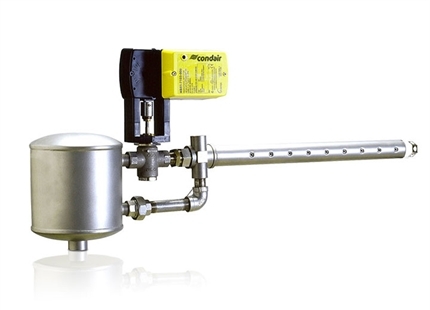 Provides sterile steam for in-duct or AHU humidification from impure, raw boiler steam. 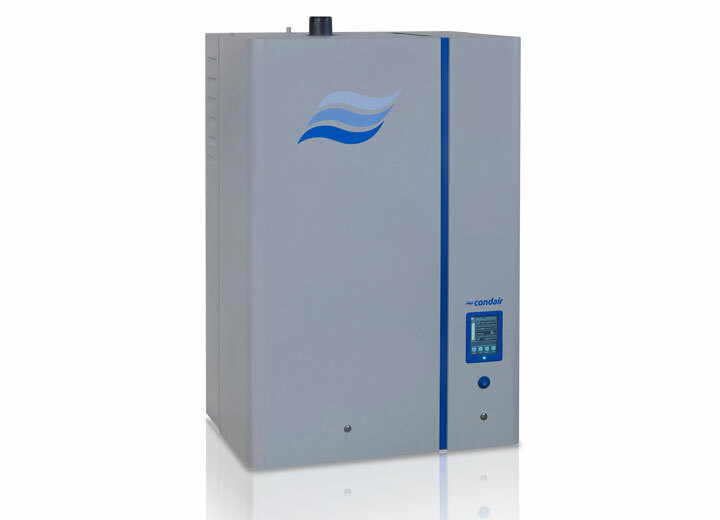 Economic live steam humidification using a building's existing steam network to deliver dry steam to a duct or AHU. 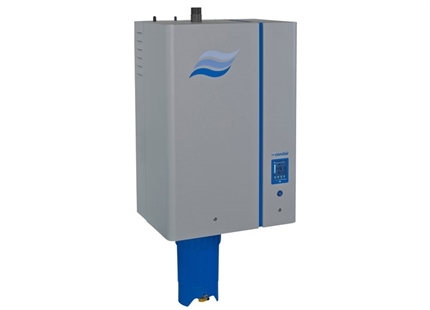 Uses a building’s existing steam network to provide dry steam humidification to an air handling unit or duct. 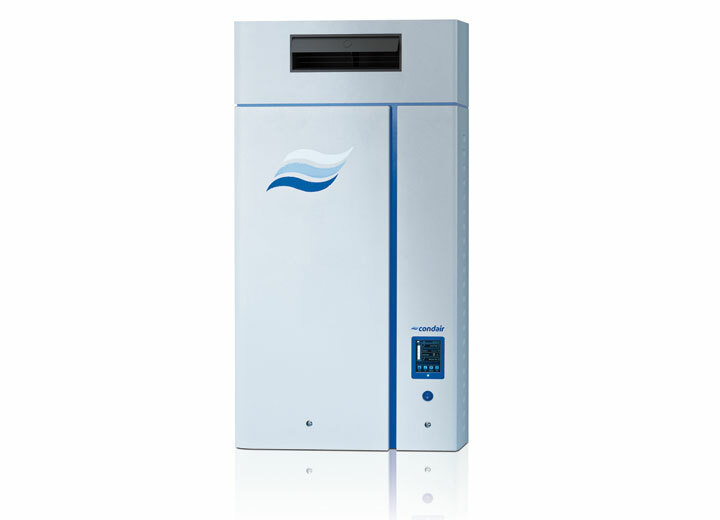 High capacity steam humidification with low operating costs due to economy of using gas rather than electricity. 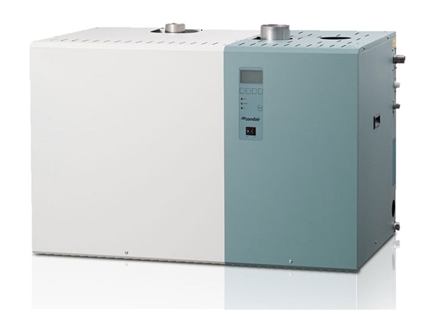 Provides up to 4kg/hr of steam either directly to a room or into an air handling unit. Has concealed connections.